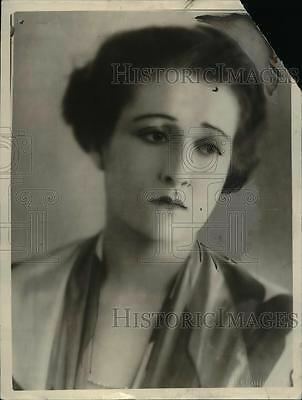 Diana Miller (March 18, 1902 – December 18, 1927) was an American actress in silent motion pictures. She had red hair and excelled in playing roles which required delineation of character. She was briefly married director and producer George Melford. Born in Seattle, Washington, Miller entered movies with assistance from actor Wallace Reid. She worked for five years for Famous Players-Lasky before she lost her job and rebounded with the Fox Film Company. She was almost penniless and took work as an extra. By 1925 Miller had worked in nine Fox films. Miller's first performance was in Honor Among Men (1924). She played the role of Celeste in She Wolves (1925) before making The Kiss Barrier (1925), which featured Edmund Lowe. Her final film roles came in the mid-1920s in The Fighting Heart (1925), When The Door Opened (1925), and The Cowboy and the Countess (1926). Miller died at the age of 25 in 1927 in Monrovia, California. The cause of death was pulmonary hemorrhage.